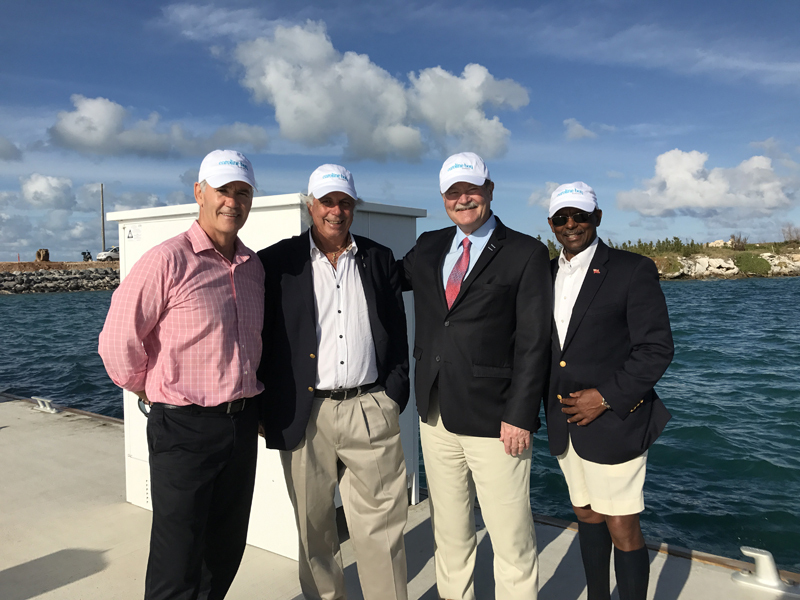 In preparation for the America’s Cup races, Caroline Bay Marina has partnered with BGA to provide provisioning services for boats and superyachts visiting Bermuda during the months of May and June. Provisioning includes full-service, web-based ordering capabilities and will cover Caroline Bay Marina clients as well as clients anchored within the Great Sound, Little Sound and Granaway Deep mooring area. Superyacht owners can purchase a number of items via the new digital shopping portal including meats, produce/fruit, fairy, frozen items, confectionary, snacks, pharmaceuticals, cigars, tobaccos, alcoholic beverages, soft drinks, juices and ice. The partnership will also allow BGA, in association with Caroline Bay Marina, to provide a number of additional services to boat owners. According to Caroline Bay, these services include client charter registration assistance, bunkering, Customs & Immigration clearance facilities, berth reservations, concierge services and more. John Tomlinson said, “As President and CEO of BGA Wholesale Distributor and Pitt & Co. Ltd., I can happily report that we are delighted to have been invited by the team at Caroline Bay Marina to be a major part of their yacht provisioning service. Ralph Richardson, CEO of Caroline Bay Marina, said: “One of the challenges Bermuda will face during the America’s Cup event will be the difficulty in servicing the largest visiting flotilla that has ever graced our harbours and bays. There has been no event that will tax our ability to provision vessels such as this one, especially over such an extended period. “This new partnership with BGA will not only augment the services provided by Caroline Bay Marina, it will also provide a convenient location to supply provisions for the scores of vessels at anchor in the Little Sound, the Great Sound and Granaway Deep. If visiting yachts are interested in learning more about Caroline Bay Marina provisioning services, please visit www.carolinebaymarina.com or contact Ralph Richardson at  599-5804.